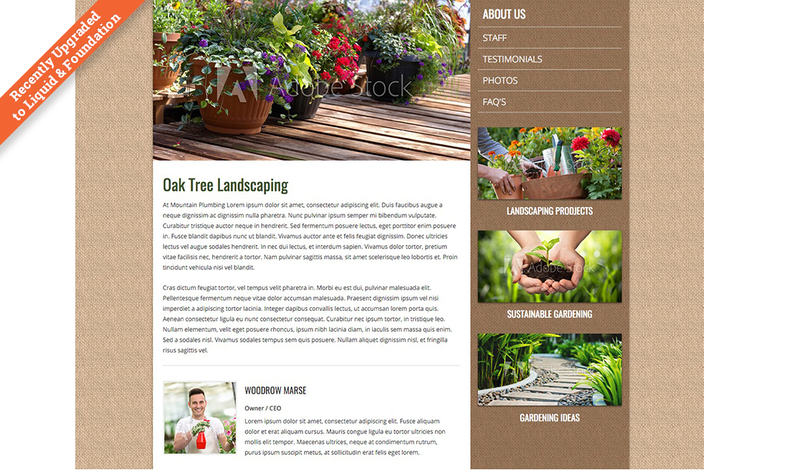 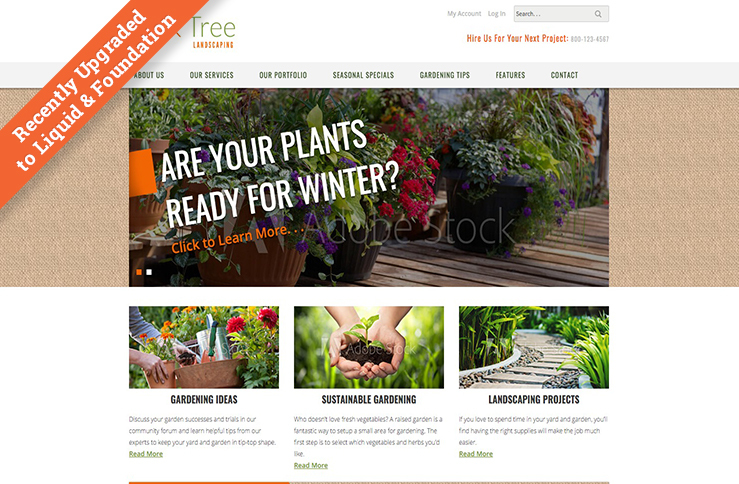 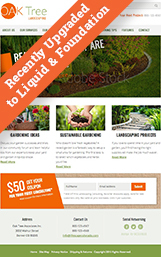 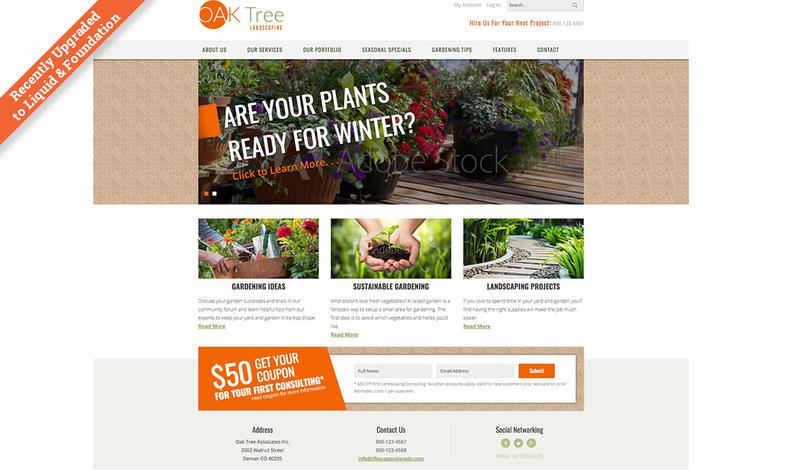 The Oak Tree Landscaping template has been updated to use the Foundation 5 Framework, making it responsive, and is set up to take advantage of Liquid Markup. 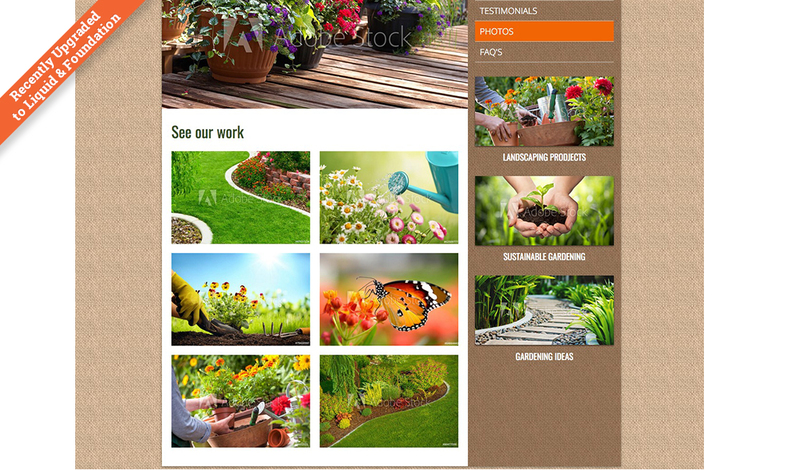 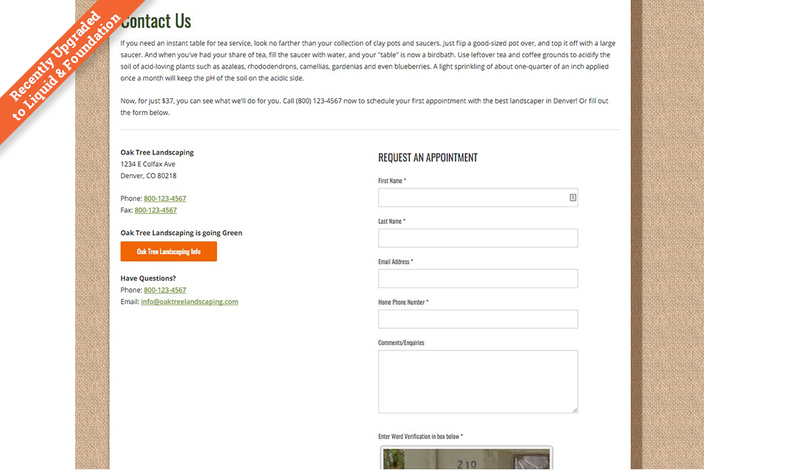 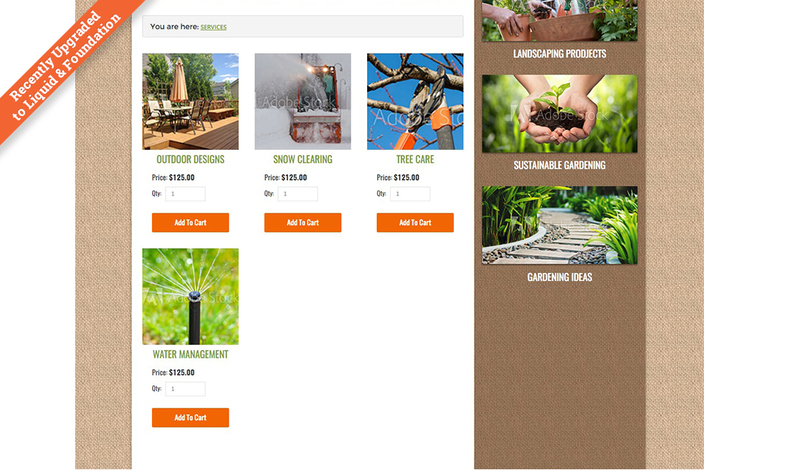 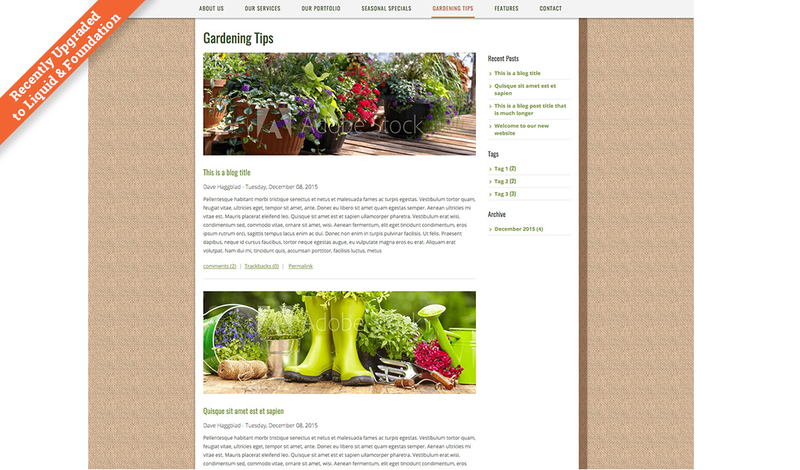 The template provides pages for your clients to lay out their services and seasonal specials, and we’re suggesting perhaps a Gardening Tips blog to attract and engage the sites visitors. 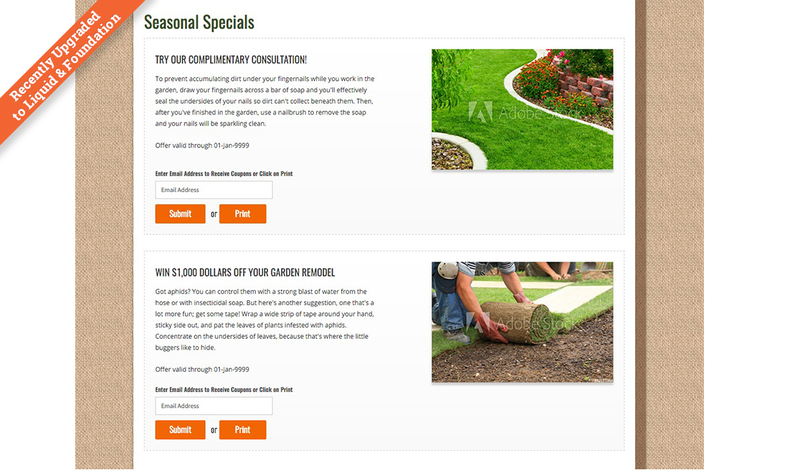 There are several places where you can offer coupons to inspire new customers to give your client a try. 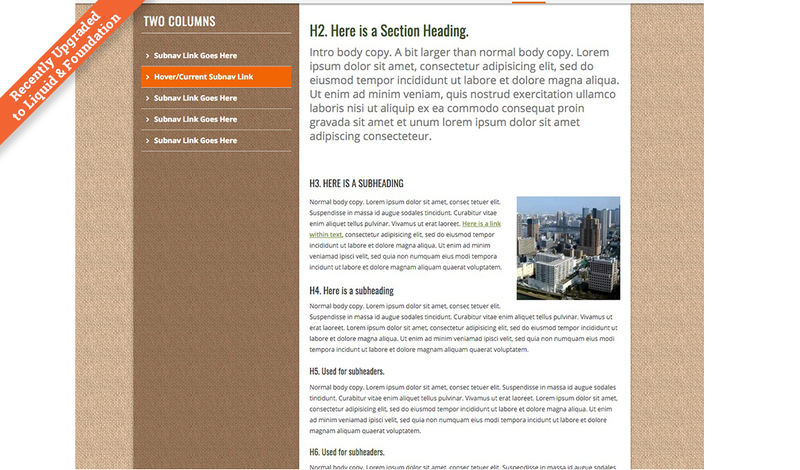 The Hero Slider, Staff & Testimonials layout are web app driven making it easy for you and your client to quickly add and update content.